Annelis Thorsen-Cavers is a partner with the firm. Since joining Rochon Genova in 2002, her focus has been principally on class action litigation, with a particular focus on pharmaceutical and medical device cases. Annelis is a graduate of the University of Waterloo (B.A., Hons. in Social Development Studies, 1994) and received her LL.B. from the University of Windsor in 1997. While at Windsor, Annelis' team placed second in the Arnup Cup Trial Advocacy Moot Competition, before her call to the Ontario Bar in 1999. Since joining Rochon Genova, Annelis has been an integral member of the class action team involved in the litigation and settlement administration of such landmark cases as Wilson v. Servier Canada Inc. (diet drugs), Coleman et al. v. Bayer et al. (Baycol), Boulanger v. Johnson & Johnson (Prepulsid), Ledyit v. Bristol-Myers Squibb et al. (Serzone), Bilodeau et al. v. Maple Leaf Foods Inc. et al. (contaminated meat), Voutour et al. v. Pfizer Canada Inc. et al. (Bextra and Celebrex), Mignacca et al. v. Merck Frosst Canada Ltd. et al. (Vioxx), among others. 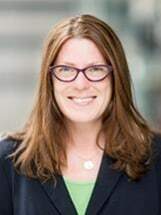 Annelis has also contributed to the drafting and editing of numerous Rochon Genova conference papers and is a co-author of The Emotional Consequences of Personal Injury, 2nd ed., along with Joel Rochon. Annelis is fluent in English and her French Immersion education allows her to remain conversant in French. She is committed to various charities, including Amnesty International, Habitat for Humanity, Medecins sans Frontieres, Plan Canada, the Stephen Lewis Foundation, McMaster Children's Hospital, Hamilton Food Share and is a member of the Council of Canadians. In her spare time, Annelis most enjoys being with her family, engaging in local social justice initiatives, compiling music mixes and honing her organic and fair trade chocolate-making skills.